A new Edmonton film festival gives women’s empowerment a place on the silver screen. Brewer said the festival, You Can’t Keep a Good Woman Down, celebrates International Women’s Day and marks 100 years since women were given the right to vote. “For me, it seems like a long time ago,” Brewer said during a Tuesday interview on CBC Radio’s Edmonton AM. “But to see a movie from the ’60s and ’70s, it felt a lot closer and a lot more inspiring that people can make a difference. 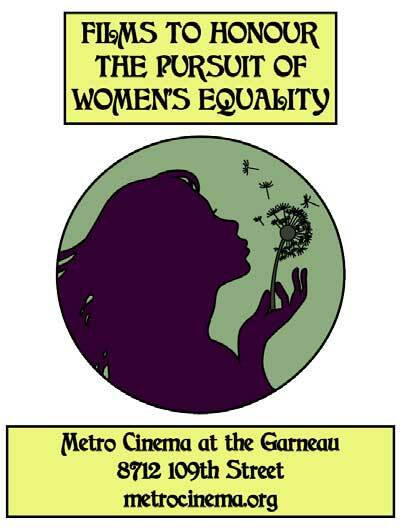 Four films related to women’s suffrage and missing indigenous women will be screened at the festival, which runs over three consecutive Tuesdays — March 8, March 15 and March 22 — at Metro Cinema. In addition to film screenings, female authors from Edmonton will host a panel discussion, and local artists will exhibit their work. Brewer hopes to provide an avenue for women to come together and help the community at large recognize that gender inequality continues. She points to a recent report that examined money, violence, political leadership, health and education, and determined that Edmonton is among the worst major cities in Canada to be a woman. Each night of the festival will act as a fundraiser. Proceeds will benefit a women’s suffrage centennial event, the Alberta Muslim Public Affairs Council for its women’s initiatives, and the Institute for the Advancement of Aboriginal Women.